You’re about to surprise a friend or relative with a very special gift. 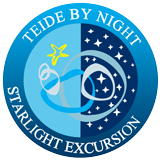 This is the 1st & only excursion certified by Starlight Foundation in the world. The Teide by Night is a magical and unique experience. 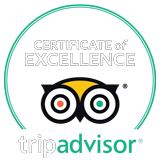 The tour, led by certified Starlight Guides, is taking you above the sea of clouds where you can see the spectacular and romantic sunset while you enjoy a glass of cava. When the sky has gone pitch dark, you will discover an incredible sky full of stars and constellations in the Teide National Park.